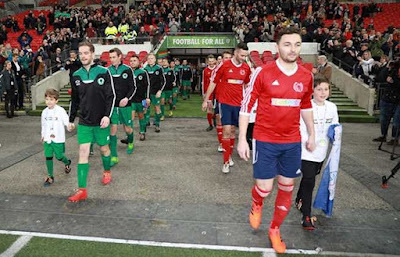 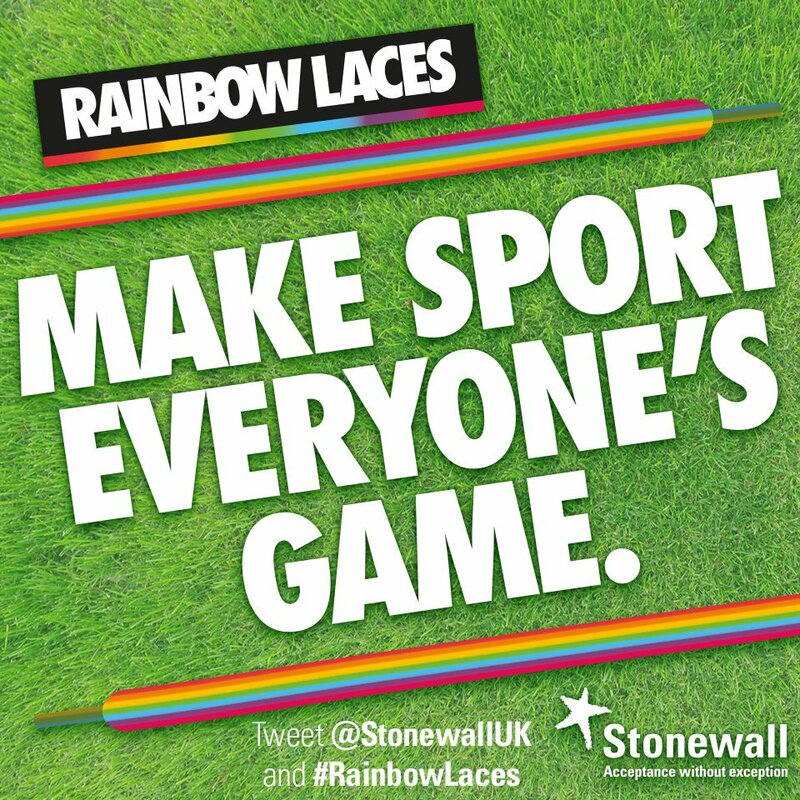 To mark their new partnership with the LGBT equality charity Stonewall, which organises the Rainbow Laces campaign for inclusion in sport, the Football Association invited Stonewall FC, the first and most successful LGBT football club in the world, to play at the national stadium where the England international team plays its games. 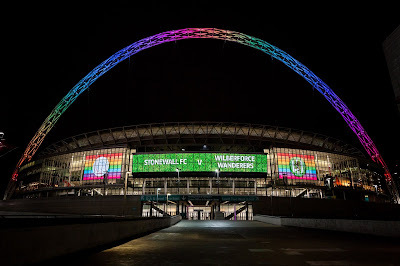 Stonewall FC is used to playing in the Middlesex County Division One, but swaped its usual pitch for an altogether different experience at Wembley Stadium, to play against AFC Wilberforce. Playing under a rainbow arch, Stonewall players revealed their pride after becoming the first LGBT-inclusive club to play and win at Wembley Stadium. 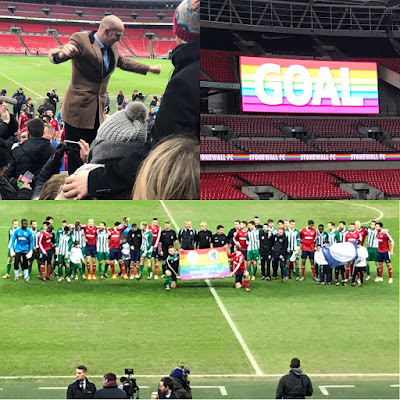 Stonewall FC was set up in 1991 as a way of allowing openly gay men to play football in London and it now boasts three teams competing at various standards of grassroots football. 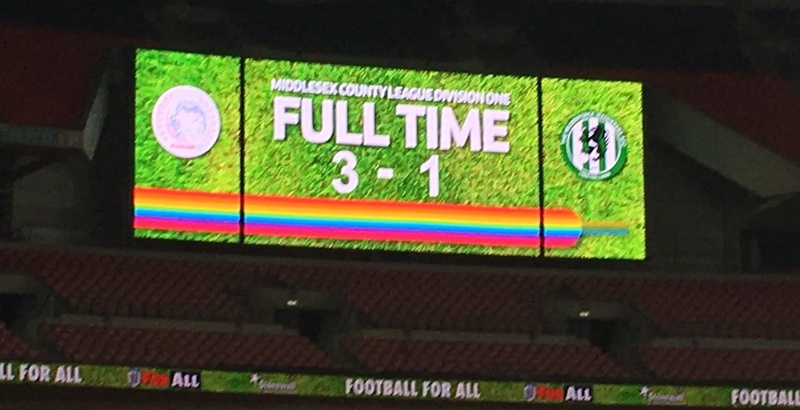 And quite successfully at that, reaching the final of every LGBT tournament that they've entered since 2000. 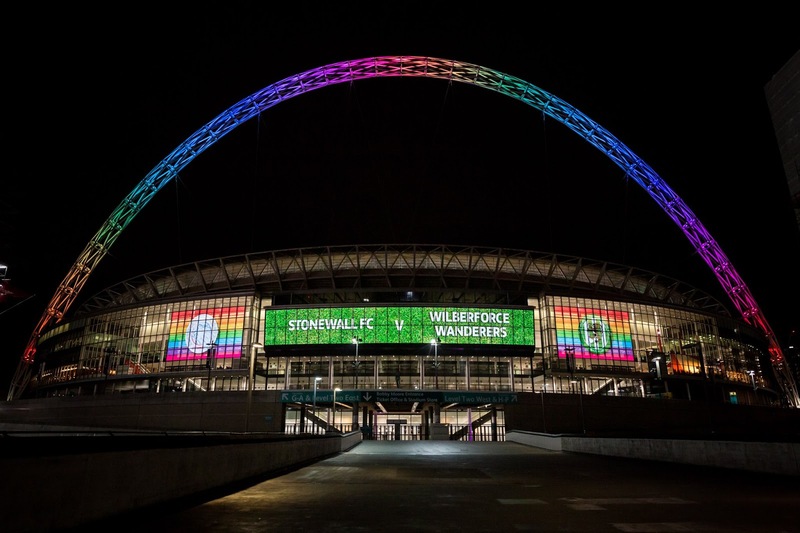 The club hopes to use the experience of Wembley Stadium's game to continue normalizing their presence in the sport. Congratulations to Stonewall FC for the 3-1 win, on a day that was about more than the 90 mins of football.